A calming, regenerating and cooling effect for sun- and wind-damaged skin. 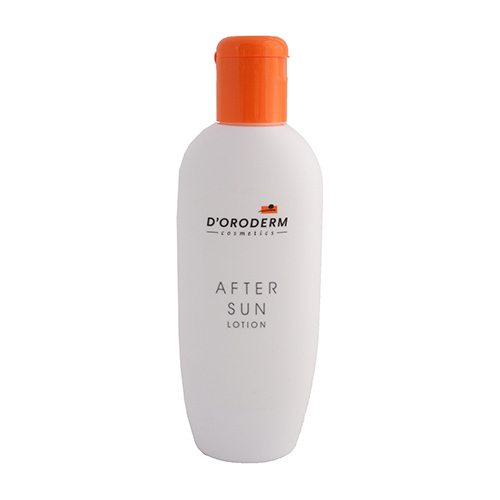 This gentle lotion has a calming, regenerating and cooling effect for sun- and wind- damaged skin. It soothes stressed skin with its special ingredients including aloe vera, jojoba and panthenol. Also excellent following a dermatological UV treatment session, as well as after using a sunbed. Ingredients: Aqua (Water), Glycerin, Alcohol Denat., Glyceryl Stearate SE, Butyrospermum Parkii (Shea) Butter, Dicaprylyl Ether, Ethylhexyl Stearate, Panthenol, Stearic Acid, Cetearyl Alcohol, Palmitic Acid, Tocopherol, Aloe Barbadensis Leaf Juice Powder, Allantoin, Bisabolol, Decylene Glycol, Sodium Polyacrylate, Parfum (Fragrance), Glycine Soja (Soybean) Oil, Propylene Glycol, Methylisothiazolinone.